There's a new version of Google Maps rolling out to users on the beta channel. This one doesn't seem to be stacked full of big features, but there's at least one new addition to the photo browser. There are also some clues about upcoming features from a teardown. This release is a beta, so you won't get it through the Play Store (right now) if you aren't already signed up to receive early updates. As always, there's a link to download this release from APK Mirror at the bottom. Keep an eye out, there can always be more features that only turn up at the right type of locations, for certain users, or only in specific situations. Let us know if you find anything we've missed. 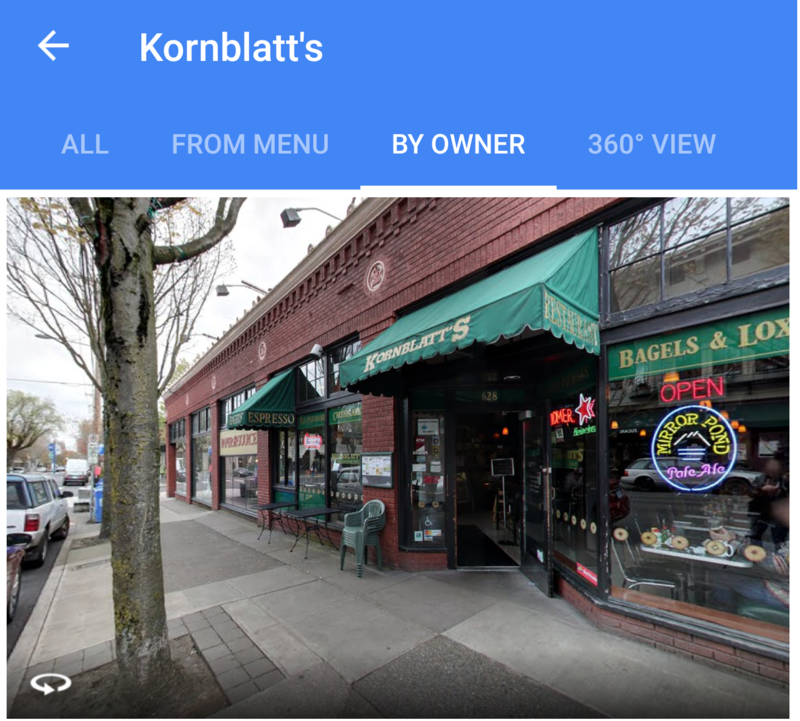 Just last month, Google expanded the photo browser to dedicate a page to showing off shots of food and drinks at restaurants. It seems this proved successful and further inspired yet another new category, this time featuring photos directly from business owners. Based on the examples I've been able to find, the content of this page unsurprisingly varies quite a bit. One 7-Eleven included things like promotional images and featured products, and my favorite deli, Kornblatt's in Portland, had shots of the storefront, fliers, and even a professionally photographed walking 360-degree tour. It may take a little hunting to find places that already offer owner-contributed photos, but they're certainly out there. This feature might even encourage a few more business owners to get on the ball and start maintaining their business listings. A new set of strings has been added with this version of Maps to be used for completing a simple phone number verification. There's nothing too unusual about the process – just fill in your digits and Google will send a text message with a code. The thing that makes this odd is that it's not really clear what this verification step would actually be necessary for. One possibility could have been for a quick verification of phone numbers submitted by business owners. However, most business phones can't receive text messages, and there aren't any strings (yet) that suggest the code could come through with a call, which largely rules out this explanation (for now). It's also possible this will become a prerequisite for things like requesting a car (e.g. Uber, Lyft, etc.) or placing a food order, though these actions are usually done through partner apps, which typically handle verification in their own way. The final explanation is that Google may have plans for an event or perks that require entrants, applicants, or attendees don't have ways to cheat the system. Phone numbers are often used for the purpose of verification since most people rarely have more than one or two lines. Anything like this could be limited to just a select audience, like ranking members of the Local Guides program, or open to everybody. We'll just have to wait for more details. Here's another mystery addition, though it's considerably less specific and may just be a small UI adjustment that wasn't obvious while looking through the app. It seems there are going to be some "top lists" coming to Google maps. What will be on the lists? How will we get to them? How are the contents determined? There aren't any clues to answer these questions, and again, it's entirely possible these aren't going to be that interesting. I'm including them because... Well, it's another thing to be on the lookout for.